Victoria and New South Wales generated only 13.6% and 12.6% of electricity from renewables in 2017. Some of Australia’s largest states in terms of population, Victoria and New South Wales, are lagging world leaders and their fellow states in the race for renewable energy, the Climate Council revealed. According to a report, Victoria and New South Wales generated only 13.6% and 12.6% of renewable energy in 2017. These pale in comparison to wind and solar generation in Denmark (over 50%), Uruguay (over 30%), Germany (over 20%), and Ireland (over 20%). Moreover, Tasmania, the Australian Capital Territory (ACT), and South Australia already beat their fellow states by a wide margin with 87.4%, 46.2%, and 43.4% of renewable energy in 2017. Renewable energy projects in New South Wales could be set to expand, however, as it is one of the states that are home to the 69 wind and solar plants under construction. Queensland and Victoria, meanwhile, are also the sites for some of these projects. “Queensland and Victoria have ambitious renewable energy targets and policies to increase the amount of renewable energy,” said Louis Brailsford, one of the report’s authors. Amidst the growth in renewable energy, however, it was observed that the absence of a “credible” national climate policy, Australia’s greenhouse gas pollution increased for the third consecutive year in 2017, despite a fall in emissions in the electricity sector. In contrast, combined solar and wind generation increased by 5%, the report noted. South Australia continues to have the largest amount of installed wind and solar capacity (1,831MW), closely followed by New South Wales (1,759MW) and Victoria (1,634MW). On a per capita basis, South Australia, the ACT, and Tasmania are the leaders. Australian households and businesses have continued to install rooftop solar in record numbers. In 2017, Australians installed 1.25GW of solar PV and 2018 is on track to be a new record year, with over 1GW of rooftop solar already installed by the end of September. “This rapid increase has been partly driven by a large increase in commercial and industrial businesses installing large rooftop solar systems to reduce their energy bills,” the report said. Queensland (32.9%), South Australia (32.3%), and Western Australia (26.7%) continued to have the highest proportion of households with rooftop solar. There is a range of programs being pursued by state and territory governments to encourage the uptake of rooftop solar and battery storage to reduce energy bills. The report cited the Northern Territory’s $1,000 grants, South Australia’s $6,000 grants for battery storage, and Victoria’s payment scheme to reduce the cost of rooftop solar. After an investment drought in 2014 and 2015, Australia’s large-scale renewable projects are gaining traction again. Investment fell to 10-year lows in 2014 and 2015 due to uncertainty caused by the abolition of the Carbon Pricing Mechanism, multiple Federal Government reviews of, and the eventual cut to the Renewable Energy Target. 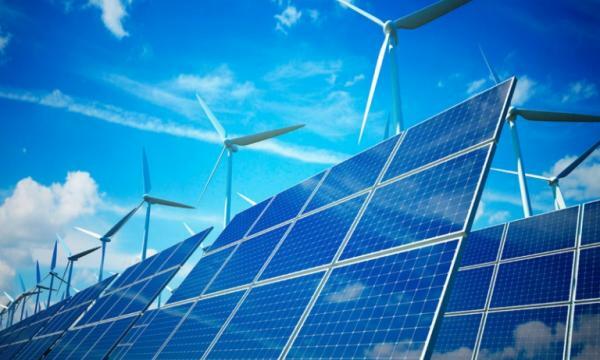 According to the Clean Energy Council, the renewables construction boom is creating 9,269 jobs and adding 10,979MW of renewable energy capacity to Australia’s electricity grid.“ These projects are also creating over A$15.6b of investment throughout the country,” the report said. Queensland is attracting the largest amount of new capacity and investment, whilst Victoria and New South Wales are also attracting large amounts of new capacity and investment. “In the case of Western Australia, just 70MW of new capacity is under construction, the lowest of any state,” the report added. Almost three times as many renewable energy projects have been completed so far in 2018 compared to the entire total for 2017 when just 12 projects reached completion. With the exception of Western Australia, all states and territories have committed to renewable energy targets and/or net zero emissions targets. Western Australia generates only 7.5% of its electricity from renewable energy, a slight increase from 7% in 2016. There are some renewable energy projects being developed in Western Australia to meet obligations under the Federal Government’s renewable energy target. This includes the expansion of the Greenough River solar farm from 10MW to 40MW, preparatory work for the 180MW Warradarge wind farm, and refurbishment of the Albany Grasmere wind farm. Notably, the state government closed Western Australia’s oldest and dirtiest coal power station, the Muja AB power station, after A$300m, failed attempt at refurbishing the 53 year-old power station. In contrast, Victoria - whilst not at the top of the renewables race - has set some landmark projects within the year. It launched its first reverse auction for 650MW of wind and solar capacity. In September, six renewable energy projects with a combined capacity of 928MW were successful in the auction. “Victoria currently generates 13.6% of its electricity from renewable energy but this is likely to rise rapidly in the next few years. Renewable energy generation may provide as much as 39.4% of the state’s consumption by 2020,” the report said, citing Green Energy Markets.